Anchored at Shroud Cay, carefully situated amongst a few other boats, we kept an eye on the coral heads that surrounded us. To me, it seemed like an iffy spot to throw out our hook. But, we were met by our friends from Tavernier, Dave and Nathalie. They suggested a couple of good places for us to anchor. Sharp coral heads appear above and slightly below the surface. On the first day, the water seemed too rough to venture out with our kids by dinghy, which made it a perfect day to read through some of the new homeschooling materials that we ordered, and Dave and Natalie had kindly brought with them. But, by the second day, conditions had changed and we were able to explore the island. Shroud Cay is known for a network of creeks, some of which are passable by boat and paddle only. 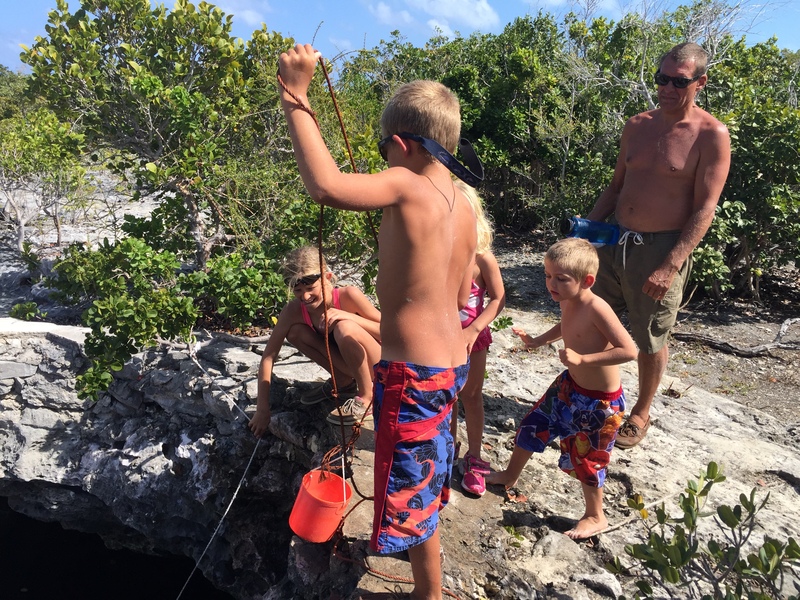 The creeks are home to sea turtles, fish, rays and nurse sharks. We took the Northernmost creek, which is accessible by dinghy and motor. The creek cut a meandering route across Shroud Cay. Mangroves and coral lined our route. 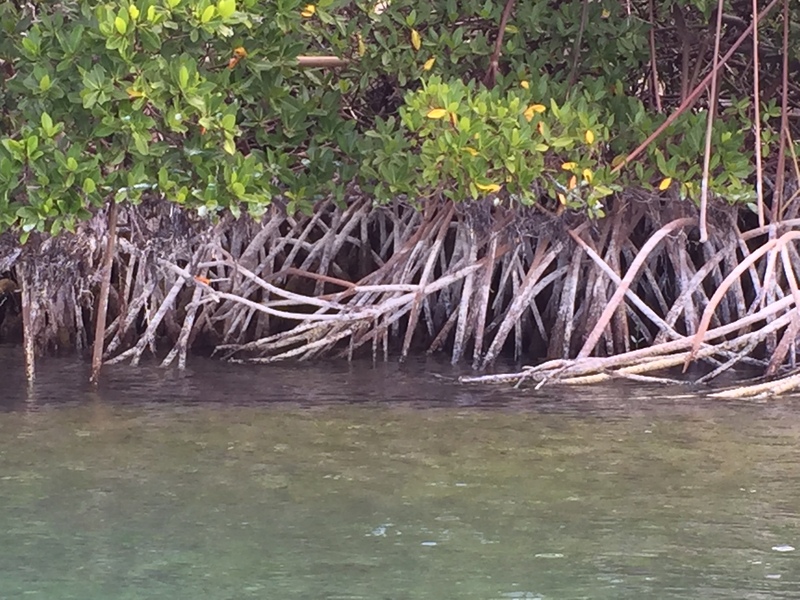 The mangrove roots were salt-encrusted, as though someone had swept by them with a white paintbrush. Coral cuts a familiar mushroom shape, creating a shaded habitat for reef fish. 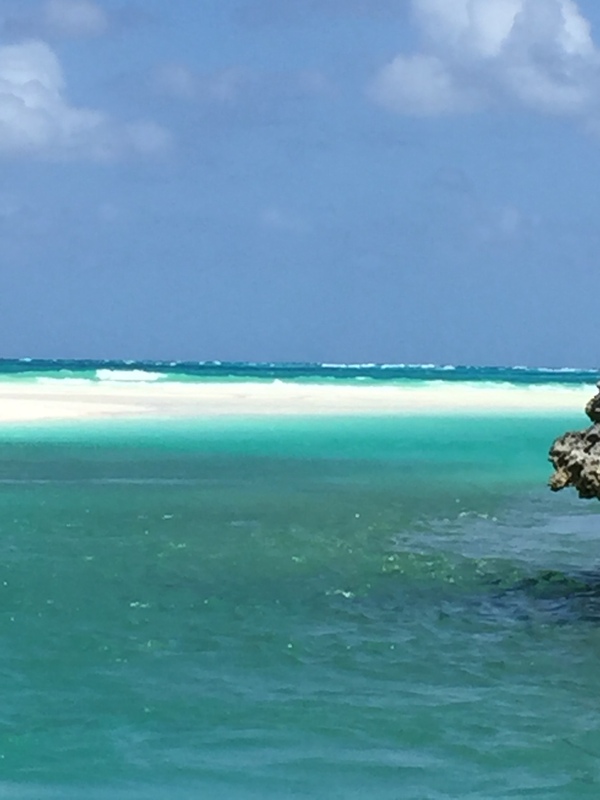 Sand flats shimmered, covered with clear, turquoise waters. The air was warm. The current was swift and, at times, the water rippled inexplicably. 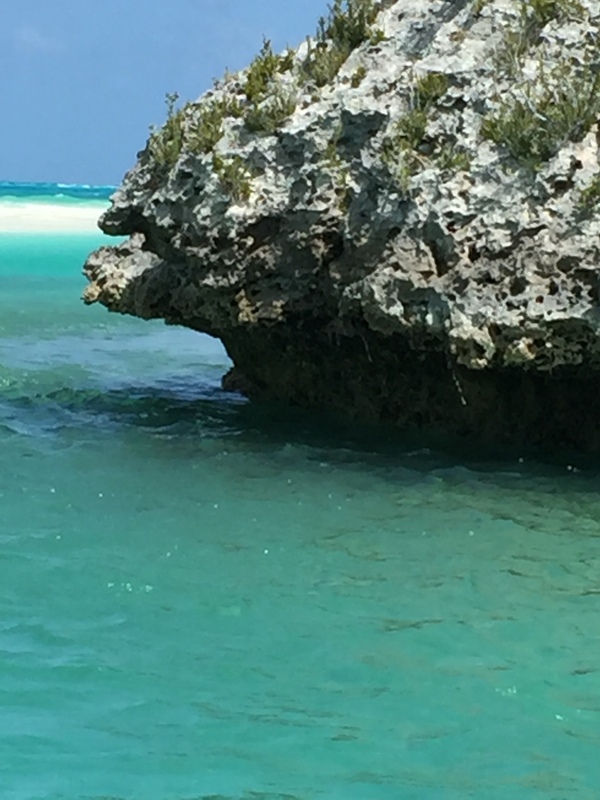 At high tide the sand flats are covered with sea water. Soon our peaceful anchorage on the West side seemed a world away. 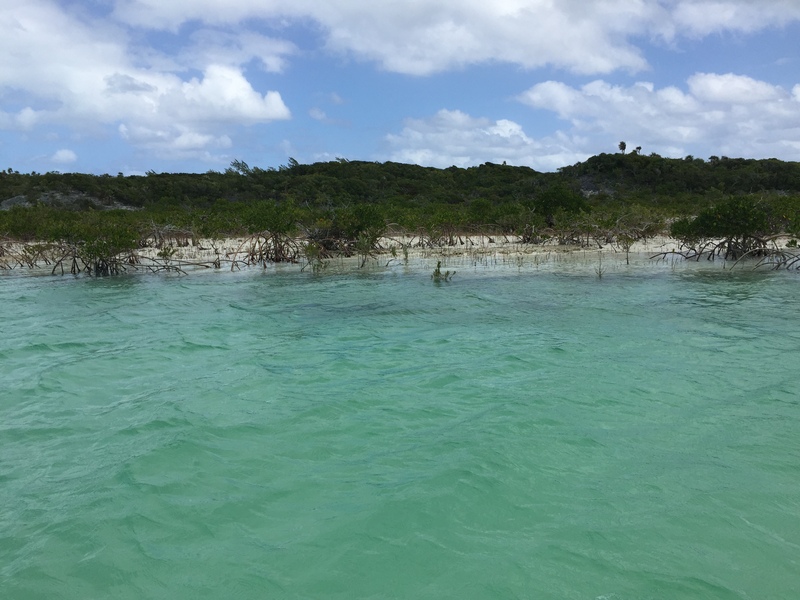 We found ourselves on the East side of Shroud Cay, wading where waves broke and churned. 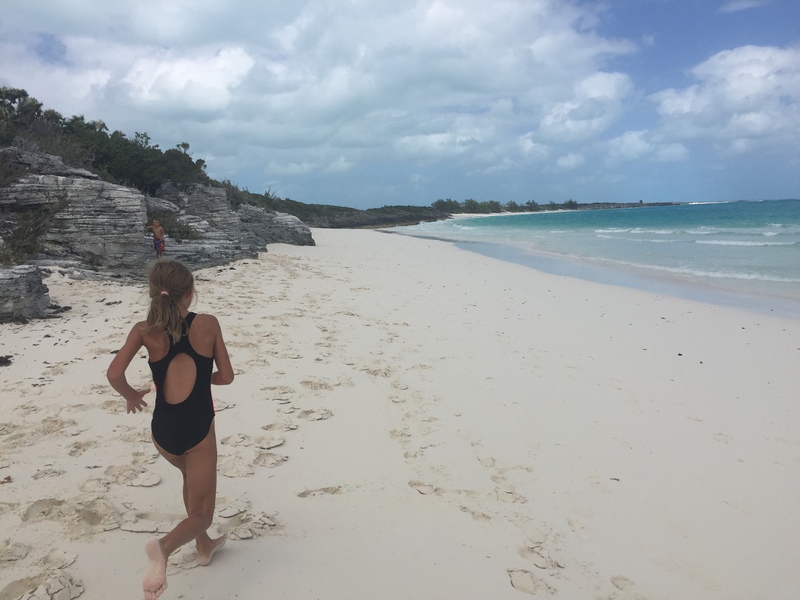 Betty runs along the beach on the eastern side of Shroud Cay. The view as the creek cuts through to the eastern side of the island. A white beach stretched out before us, and we climbed a limestone path to a place called ‘Camp Driftwood’. The path was strewn with palm leaves and seashells, even as we climbed. 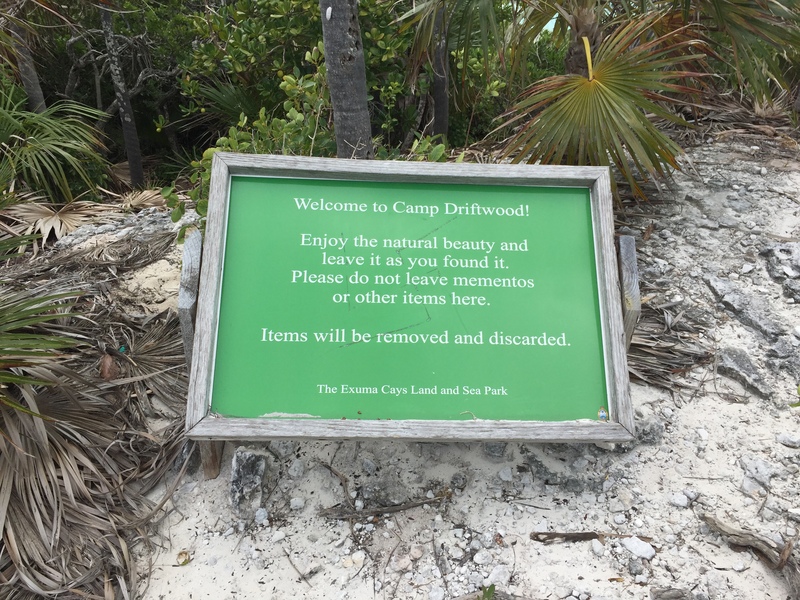 Camp Driftwood bears no resemblance to its previous life as a gathering spot for natural mementos, and hand written notes. But, it was a lookout point and we were happy to have found it. As we made our way back we saw a couple of sea turtles. We turned off our motor and heard birdsong. Later, we took a southbound creek and hiked up to a well. The well had some small fish in it, which to me seemed unappetizing. But, Betty and Rick tried the water and said it was good. 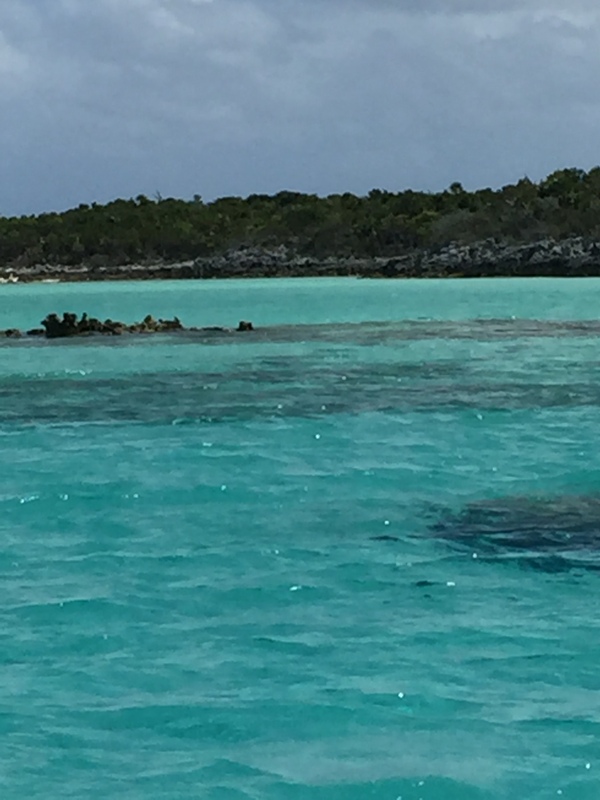 On a map, Shroud Cay might look like just other island in the Exumas chain. But, the guidebooks don’t lie – it’s a very special place.